The Shi'ite-Sunni conflict is the most deadly and unsolvable conflict in the MIddle East and it is between Muslims. It is, for example, the basis for the great hostility between Saudi Arabia and Iran. Dr. Mordechai Kedar is a senior lecturer in the Department of Arabic at Bar-Ilan University. He served in IDF Military Intelligence for 25 years, specializing in Arab political discourse, Arab mass media, Islamic groups and the Syrian domestic arena. Thoroughly familiar with Arab media in real time, he is frequently interviewed on the various news programs in Israel. In the past, there have been attempts to mediate and reconcile the two streams of Islam, but the all-out war being conducted in Syria for the past three years has shuffled all the cards. This week, on the tenth of the month of Muharram, the first month of the Hijri calendar, is Ashura, which at first was akin to the Jewish Day of Atonement, Yom Kippur, occurring on a similar date. However, over the years, this day has become a memorial day for Hussein bin Ali, leader of the Shi'ite sect, who was executed by the army of the Sunni regime in southern Iraq in the year 680 CE, 1333 years ago. He was decapitated and his head was ceremoniously brought to Damascus as proof that the deed had been carried out. Caliph Yazid bin Muawiyah placed Hussein's head on his table and left it there for a month, so that all could see the fate that befalls a rebel and would be deterred from behaving as he did. The fact that Hussein was the grandson of Mohammad the prophet of Islam did not prevent the caliph from treating Hussein's head in this manner. What is the cause of the Shi'ite-Sunni conflict? Why the terrible cruelty that has been characteristic of this conflict even until today? The story begins in the year 632, the moment that Muhammad died. Immediately upon his death the struggle began over who would succeed to the most powerful position in Islam - the office of Caliph, Muhammad's replacement and the leader of Islam. Ali bin Abi Talib was Muhammad's cousin and son-in-law, since he was married to Fatima, daughter of Allah's messenger and his first wife, Hadija. Fatima bore to Ali two sons, Hasan and Hussein, and two daughters - Zainab and Umm Kulthum. While Muhammad was still alive, his daughter Fatima quarreled with Aisha, Muhammad's last wife, who was younger than Fatima by several years. After Muhammad's death, Aisha's father, Abu Bakr, was appointed as the leader of Islam, which was against Fatima's wishes, who saw her husband Ali as the natural successor to Muhammad, since he was Muhammad's cousin and son-in-law, as well as the father of Muhammad's grandchildren. There were severe struggles among the group of people that surrounded the first three caliphs, Abu Bakr, Umar and Uthman because of the family feud over who would inherit the leadership. Ali was eventually appointed as the fourth caliph in the year 656 after his predecessor, Uthman, was murdered. Those who opposed Ali, principally members of the Umayyah family, accused him of being involved in the murder of Uthman and during all five years that he ruled, he had to fight his adversaries continually. The governor of Syria, Muawiya, rose up and pronounced himself caliph. His son, Yazid, was the caliph who gave the instructions to murder Hussein bin Ali. The murder of Hussein occurred in Southern Iraq, near the city of Karbala. He was murdered together with several dozens of his friends and family members, with only one baby surviving to continue the dynasty. The murder, which occurred in 680 - remains the defining event for "Shi'at Ali", the "sect of Ali", which is the source of the name "Shia" or Shi'ite, the name of the stream of Islam that supports the leadership of Ali's descendants. This family conflict has been ongoing for almost 1400 years. Until the year 1258, with the fall of Baghdad, the capital of the Abbasid dynasty, all of the caliphs of Islam for over six hundred years were from Muhammad's tribe, the tribe of Quraysh, but they were never the descendants of Ali. This situation placed Shi'a in continual opposition to the ruling regime and they became a harshly persecuted group throughout the history of Islam. The struggle between the two groups has led to the development of great differences between the two in every area of religious life: religious laws are different, the theology is different, and even the basic scriptures are different: The Shi'ites claim that the Sunnis omitted two chapters from the Qur'an where the leadership was promised to Ali and his descendants, while the Sunnis claim that these two chapters were fabricated by the Shi'ites. The oral law is also different, because each side invented stories about Muhammad to support their political position. In their prayers, the Shi'ites curse the first three caliphs for stealing the rule from Ali, and they add passages that praise and exalt Ali. Therefore there are many among the Sunnis, especially the Wahhabis of Saudi Arabia, who consider Shi'a as a kind of fundamental heresy. The Saudi regime forbids the Shi'ite minority to recite the call to prayer aloud, because even in the muezzin's call to prayer there is an extra part praising Ali. The Shi'ites commemorate the Ashura - a memorial day for the murder of Hussein bin Ali - with very impressive events of "ta'aziah" (consolation). In some places they march in the streets and beat their backs with knives and chains even to the point of drawing blood, and in other places they meet to recite laments, weeping and wailing. All of these events carry a harsh anti-Sunni message, which perpetuates the hostility between the two groups of Islam. Shi'ites are persecuted in every Islamic country where they do not rule: Saddam Hussein forbade the Shi'ites to commemorate Ashura, and on that day, Shi'ites were forbidden to gather in the streets. Any group of more than three Shi'ites that was caught in public on this day was sent to prison. In Lebanon, the Shi'ites were a marginal, oppressed and degraded group. This provided the social background for the development of Hizb'Allah (Hezbollah, on Google), which eventually took control of Lebanon in revenge for hundreds of years of oppression and marginalization. In one of the Arab villages in northern Israel, a number of families changed over to the Shi'ite side of Islam after Hezbollah's "divine victory" in 2006, and as a result, these families have been banned: their youth were expelled from the schools and the stores in the village were closed to them. A few months ago in Egypt, a leader of the small Shi'ite sect was slaughtered together with several of his aides, and in Europe there are mosques that have been built with Saudi money on condition that Shi'ites will not be permitted to enter their gates. Iran's behavior totally fits with the history of the battle between Shi'a and Sunna: the Iranian, Shi'ite Ayatollahs' sweetest dream is to control Mecca and Medina, so that they can throw the Sunni Wahhabis out of these Islamic holy places, and restore the Shi'ites, the descendants of Ali, the fourth caliph, to power. This is the basis for the great hostility between Saudi Arabia and Iran, and the sense of a great and real threat that Saudi Arabia feels these days because of the Iranian military nuclear project. Israel is a punching bag for both streams of Islam: the Sunnis see Jerusalem as the third holiest place in Islam as a result of the political problems of the seventh century, when the House of Umayyah, which ruled in Damascus, adopted Jerusalem as the religious and political center to compete with Mecca. The Shi'ites - traditionally - did not see Jerusalem as a holy place, because it had been "sanctified" by the House of Umayyah, the despised murderers of Hussein bin Ali. But in modern politics, both sides compete against each other in the struggle for religious legitimacy, because each side wants to present itself as the better jihad fighter against the Jews. Thus, Jerusalem is "holy" to the Shi'ites too: Iran established the "Quds" force ("Quds" is "holy" in Arabic, and part of the Arabic name for Jerusalem: al-Quds) to spread terror throughout the world, and every year Hezbollah organizes "Jerusalem Day" in conjunction with the Iranians. But the ongoing political wars between Sunna and Shi'a still cause many thousands of deaths: the eight year war (1980-1988) between Iraq, which was then ruled by the Sunni Saddam Hussein, and Iran of the Shi'ite Ayatollahs, resulted in well over a million deaths on both sides, all of whom were Muslims who were killed by other Muslims. Since 2003, Iraq has returned to sectarian war as Sunni jihadists blow up car bombs and truck bombs in Shi'ite neighborhoods, and in revenge, Shi'ites blow up vehicles loaded with explosives in Sunnis areas. This front has cost the lives of hundreds of thousands of men, women and children until now. Shi'ite commemorative events such as the Ashura (which occurs this week) and the fortieth day afterward, are "special favorites" of Sunni terror operatives, because the mass processions and large gatherings of Shi'ites in ta'aziah rituals make an attractive and effective target for anyone who is interested in harming Shi'ites. In a number of past events it was enough for a rumor to be spread that a terrorist had entered the Shi'ite crowd to cause a stampede causing hundreds of people to fall from bridges and be trampled to death. There are groups of Shi'ites in Pakistan and Afghanistan as well. The members of these groups are considered to be unclean and Shi'ite mosques in these cities are a regular target for terror attacks by radical Sunnis, especially members of al-Qaeda. In the past, there have been attempts to mediate and reconcile the two streams of Islam, but the all-out war being conducted in Syria for the past three years has shuffled all the cards, because in this country too, supported by Iranian weapons, monies and Shi'ite fighters, the Alawite, "infidel regime" has been ceaselessly slaughtering its Sunni citizens, and has caused the death of about two hundred thousand citizens and has made refugees of millions of people, who are living a life of suffering and misery. Ali and Muawiya, the fourth and fifth caliphs from the middle of the seventh century, have been in their graves for some time, but the struggle between them for the rule of Islam continues to claim casualties among their supporters and adherents, who are all, every single one, Muslims. 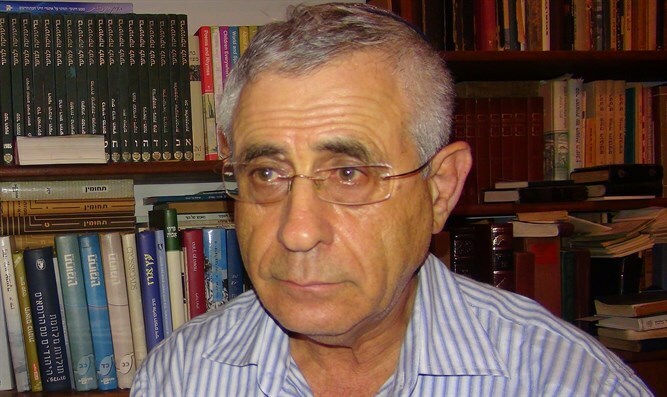 Dr. Mordechai Kedar (Mordechai.Kedar@biu.ac.il) is an Israeli scholar of Arabic and Islam, a lecturer at Bar-Ilan University and the director of the Center for the Study of the Middle East and Islam (under formation), Bar Ilan University, Israel. He specializes in Islamic ideology and movements, the political discourse of Arab countries, the Arabic mass media, and the Syrian domestic arena. Translated from Hebrew by SallyZahav with permission from the author. First published in the Hebrew weekly Makor Rishon. Copyright - Original materials copyright (c) by the author.